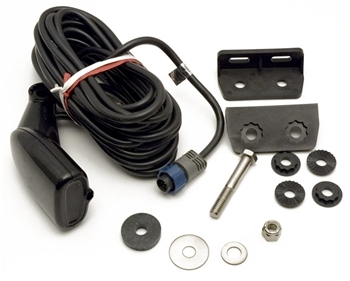 The Lowrance HST-DFSBL Transom Mount Skimmer Transducer works with any Lowrance fishfinder with a blue connector and also Lowrance HDS models. Provides accurate Depth and temp information. 12' Transducer Extension Cable for all Lowrance and Simrad units with Blue Connector. 20' Transducer Extension compatiable with all Lowrance and Simrad units with Blue Connector.